Why do I need to sign up in January & February? We begin our greenhouse seedlings in February for field transplant in March. This requires planning and allocating a variety of produce for each shareholder that is timed for each week's delivery. 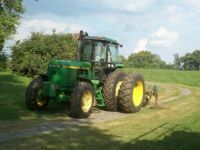 As Farmers, we also benefit by receiving payments prior to the beginning of the season, when we need them most, to buy seeds and supplies to produce the food, tractor & equipment repairs, etc. Please see Pick Up Locations Tab on website. We are always looking for new drop off sites. Please e.mail us at Farmer@BigWhiteBarn.com if you would like to sponsor a pick up location. We are considered naturally grown and follow organic guidelines. We do not spray harmful chemicals on our produce. We do our best to keep your produce insect free.... However, you may find a hungry pest once in a while. Can I choose what's in my box? Yes! Our new host Harvie allows you to set your preferences. Can I have someone else pick up my share on my behalf, if I’m not available from time to time? What happens if I miss a box due to vacation, etc? Members are responsible for picking up their box on the selected day & location. Please have a family member or friend pick up your box. We can not make arrangements for missed boxes. We donate all missed boxes to a local Food Bank or a family in need. We are a working farm - and while we would love to have the farm open to visitors every day we are unable to do so at this time. However, we do offer CSA pick up at the farm on Saturdays & Wednesdays. How do I get in touch with the Farmer? Can I split a share with my friends, or can we go in on one? Yes. We ask that one check is sent and one primary contact person is responsible for the share. Anyone can come to pick it up. You are responsible for dividing it up for your group. No special arrangements on pick ups for divided shares. What’s the difference in share sizes? A Large box might contain: 1 watermelon, 1 dozen sweet corn, 3 tomatoes, 2 cucumbers, 2 zucchini, 1 head broccoli, 2 large peppers, 1 head of lettuce. Medium & Small boxes will contain a combination of those items in the same quantities. An item can be a head of lettuce, a quart of tomatoes, several cucumbers, peppers, etc. Can I trade my items for different produce from the stand? Only if you pick up at the farm. We will have a Member Exchange table set up. My friend received spinach but I didn't. Boxes are packed according to what is ripe for picking at that time. One box may contain spinach and another may contain lettuce. You will receive a combination of the items listed on the Member Info tab - not every item listed. There are NO REFUNDS. The money that you pay for your share is used to grow the crops for the term for which you are subscribing. 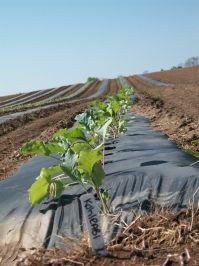 Once you subscribe, your spot is secure for the growing season. It is up to the Member to find a replacement. You may also choose to donate your share to a local food bank.